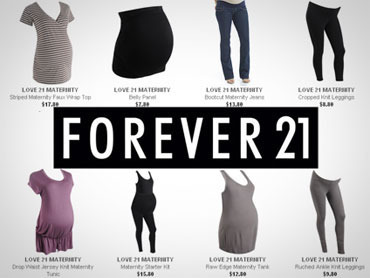 Forever 21 Maternity you say? That is correct. This month, Forever 21 launched it’s Maternity Line for online shoppers and throughout stores in limited states. (TX, CA, AZ, AK, UT). Before you get too excited, I will mention the selection is sub par at best. With that being said, it’s hard not to get excited about the fantastic prices of some staple maternity wardrobe items.